My Child Hardly Studies - I Am Proud Of My Kids! Grades are one of the most important things to school age children. Grades can affect how stressed students are and how they feel about themselves. Many schools push the idea that you need to study to get good grades. The issue is that most kids do not like to study, or go to school. There are many reasons that most kids do not like to study. The most common ones are that they find studying boring, they do not enjoy the subject, or that they do not understand the subject that they are learning about. Some schools have eliminated homework, as research has found the homework most often does not help the student learn about the subjects. A Canadian Council on Learning studied 18 students and found that studying only worked for some children if it was for a reasonable time frame, and if the homework was engaging and meaningful. Homework has also led to higher rates of depression and anxiety in children, and teenagers. While homework is diminishing, grades are still very important. Therefore, studying is one of the ways to keep your child’s grades up. So how do you get your child to study? First, you can’t force a child to study. If they are already not studying on their own, they are not going to want to study just because you said so. If you want to help them get into studying, set the correct amount of time for their age, and how they work. Young children have a hard time focusing on one task for more than a half hour at most, so think about having study time switched to when they seem to become bored. Teenagers have a longer time of focus, but still get bored quickly when they are doing something they do not enjoy. They are better able to know when to switch tasks, so you do not have to watch them as closely. Kids thrive when their days are organized. Having a set time for homework, and studying each day, helps them know when they have to sit down and do their work. Find a time frame that works for both you and your child, as this means that you both are more likely to stick with the studying program. Organization works best when you know what is going on with your child’s homework. Having a planner, or calendar is a great way to stay organized and not forget any upcoming tests, and project due dates. Many schools hand out planners to the students at the beginning of the school year, but many students do not use them since they see them as a chore. You can make planning fun with stickers to customize the planner with your child to make it all their own. Having a calendar with the upcoming events also helps your children figure out what studying needs to be done, and how much homework they need to complete each day, so there are no more last-minute homework questions or projects to finish. 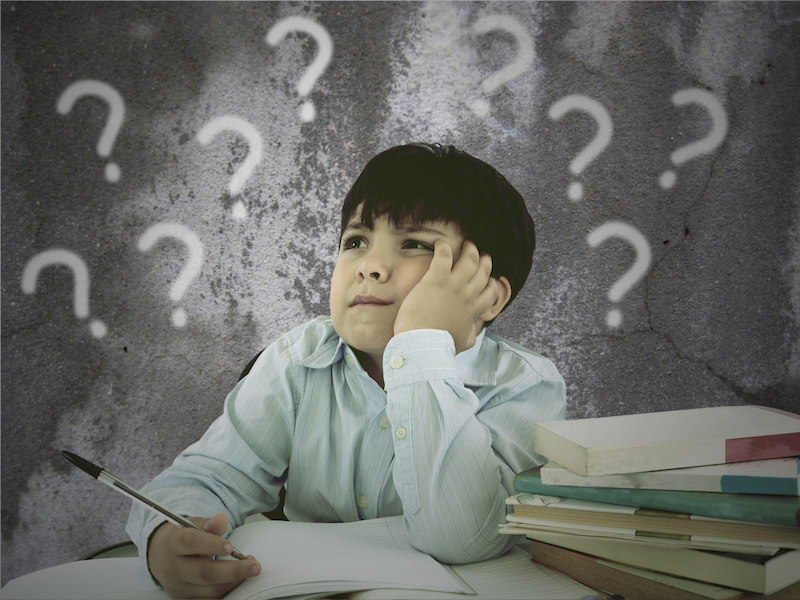 Getting a child to study can be challenging if they do not want to. Building studying and homework into their schedules, and knowing when to step in and help are the two most important things that will help them learn to study on their own. Be the first to comment on "My Child Hardly Studies"